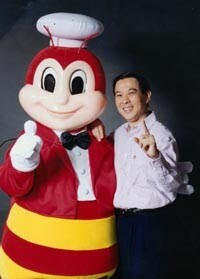 Unknown to many, the man behind the phenomenal success of Jollibee is a Dabawenyo - Tony Tan Caktiong, Founder, Chairman and CEO of Jollibee Foods Corporation, the largest and most successful fast food chain and franchising network in the Philippines. I met Tony Tan Caktiong in 1990 during the awarding of the JCI-Philippines' Ten Outstanding Young Men of the Philippines (TOYM) which was held at the Grand ballroom of the Philippine Plaza Hotel in Manila. He was an Awardee for Entrepreneurship. I was then Commissioner for Publications with the Makati Jaycees and was invited by the TOYM Chairman, Roberto A. Alvarez, Jr. of the Junior Chamber International Philippines (Philippine Jaycees) to chair the Publications, and Public Relations Committees. The position gave me the rare opportunity to meet and interview the TOYM Awardees that year including Tony Tan. Atty. Ricardo "Dong" Puno was the Master of Ceremonies of the occasion while I, in turn, co-hosted with him and also headed the Jaycees' Reception Committee. I was even tasked to sing the "Lupang Hinirang", the Philippine National Anthem. TOYM is the Philippines’ most prestigious awards search for a select elite group of young men and women between ages eighteen to forty who have shown selfless dedication for their work, passion for excellence and compassion towards the communities they belong. Tony Tan Caktiong is the third of seven siblings born to poor parents who migrated from the Fujian province in China for greener pastures in the Philippines. His father started out as a chef in a Chinese Temple, and was later invited to open a restaurant in Davao where the whole family eventually moved to help manage the business which became profitable. While growing up in Davao, he and his brothers assisted in their family restaurant where their father was the chef. After high school, the young Tony returned to Manila and finished Chemical Engineering at the University of Santo Tomas. After graduating from the university, Tony and his brothers applied for a franchise of Magnolia Ice Cream House and in 1975, two outlets were opened: one was along Aurora Boulevard in Cubao, Quezon City and the other one was in Quiapo, Manila. While both outlets were doing well, the brothers noticed that their customers wanted more than just ice cream, so hamburgers, chicken, and spaghetti were added to the menu. By 1978, their operations expanded to six ice cream parlors. Soon thereafter, these hot meals were outselling ice cream which gave them the idea to transform these outlets into dine-in fast food restaurants. In view of the increased demand in hamburgers, Tony Tan and his brothers shifted their focus from ice cream to selling hamburgers and incorporated themselves and named their restaurant, Jollibee! Since its incorporation in 1978, Jollibee has become a popular household name in the Philippines, even obscuring the popularity of McDonald’s, the largest American hamburger chain in the world. 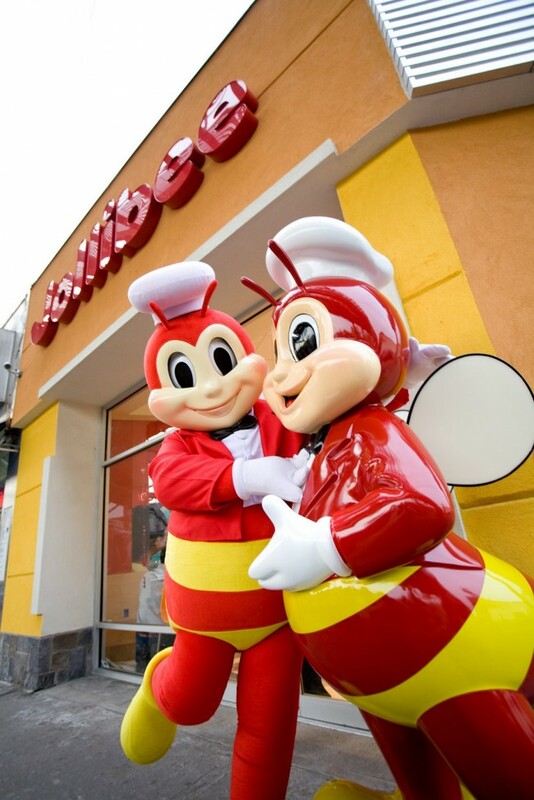 The story behind the name "Jollibee" is as interesting as the company's fascinating history. When Tony Tan Caktiong and his family were brainstorming on the symbol for their business, they thought of a bee because it is known for its hard work and the honey it produces represents the sweet things in life. In addition, they also wanted the name to connote happiness and eventually prefixed "jolly" because they believe that people should be happy with their work to enjoy it at the same time. 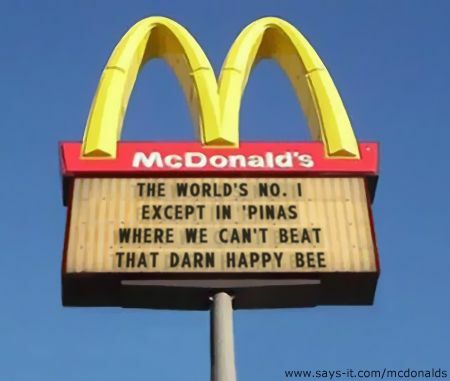 Thus, the brand name, Jollibee came about which has transformed from a mascot to a Philippine cultural icon. Jollibee Foods Corporation has seen several milestones, reaching P500 million sales mark in 1984, joining in the Philippines' Top 100 corporations in 1987, breaking the P1 billion sales margin in 1989, and becoming the first food service company to be listed in the Philippine Stock Exchange in 1993. 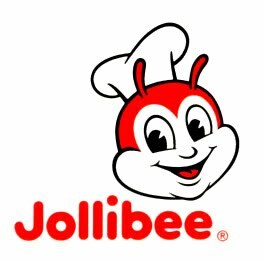 Today, Jollibee commands 65% of the market and leads in the three major segments - Jollibee in chicken and burgers, Chowking in oriental fast food, and Greenwich in pizza and pasta. From its humble beginnings of two stores, it has grown to over 900 outlets in the country and 29 overseas, having businesses in the United States, Hong Kong and is continuing its expansion in China, Indonesia and exploring opportunities in the Japanese dining market. This phenomenon is due to Tony Tan's persistent drive to innovate, to look ahead, and to learn from other companies' successes and mistakes. He is known to be the toughest quality controller of Jollibee's products and services. Good food and family are the two essential elements behind the phenomenal success of both Tony Tan Caktiong and Jollibee. He credits his parents for cultivating his entrepreneurial spirit and instilling in him the values of respect and humility, which are now ingrained in the corporate culture of Jollibee. In September 2004, on the occasion of its 80th founding anniversary, the Davao Central High School, popularly known as the Davao Chinese High School, has honored Tony Tan Caktiong as one of its three outstanding alumni for exemplifying and giving meaning to its scholastic tradition of academic excellence and for bringing honor and prestige not only for the school and the Chinese community but also to Davao City. "The bee hops around, very busy, producing honey. This represents life's sweet things. Because even if you’re busy, you have to be very happy. You have to be jolly. Because if you're not happy, being busy is not worth it." Most of the places that you showcased on your blog I've visited back in my childhood, whereas some I haven't even heard about at all. I'm still a teenager so I guess I got lots of catching up to do. Man, after seeing all your posts on how much Davao has changed all these years I'm actually feeling really homesick now.